Second worst book cover ever. If you want to see the most worst cover, look at Volume 2. Whenever I am out for coffee and working on homework, I make an effort to not show the titles of books that I’m reading. In this case, I was reading “Readings in Christian Ethics,” as well as “The Moral Quest.” I don’t like to show what I’m reading for two reasons, one reason being selfish and the other less selfish. First, I don’t show because I don’t want to strike up conversations. I’m here to study primarily, and have conversation secondly. Sure, this may defeat the original intent of the coffeehouse, a place of social gathering, but hey, I can’t get work done unless I’m in a public place. The other reason is that, because I am generally reading Christian material, I want to respect others who are here and not broadcast my literature. I don’t want people to think I am here to evangelize them. I like what I study, and of course I want people to know about what I’m studying, but I don’t want to shove it in their faces. I see plenty of people do that, people who bring their Bibles and leave them wide open, with highlighter marks plaguing the pages, inviting others into a conversation about the Lord and Savior Jesus Christ. So, here I am, headphones in, listening to the Smiths, book covers down, and an interesting thing happens. I notice someone in my periphery. I turn and see someone is beckoning me to listen. I take out my headphones, and a brief conversation begins. Woman: Excuse me, can you give me two dollars for a cup of coffee? Me: No, sorry, I can’t. Woman: Can you buy something for me? She walks away, and I’m left bitterly confused. What was so interesting about that? Do you think she saw that I was reading a book about Christianity, and thought that I’d give her money, as my Christian ethical duty? But how could she, since she couldn’t see my book? This bugged me for a while. I started thinking through all of the scenarios about what could have happened. I could have explained to her the irony of her situation. 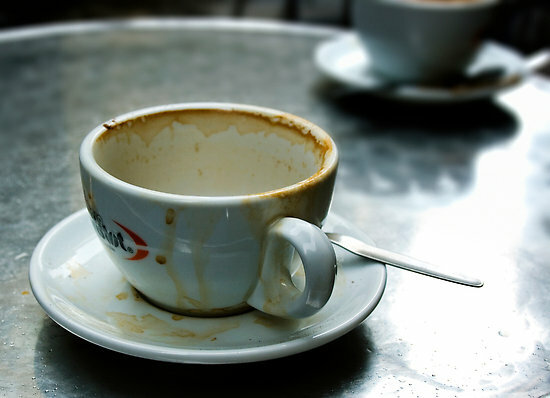 Why would you be in a coffeeshop if you had no money to spend? I’ve had homeless people come up to me here and do this, but she didn’t seem homeless. And besides, she just wanted coffee right? And then I start imagining about all the people around me listening in on me explaining to her why I can’t give her money. They start to notice my books on Christian ethics, and are as curious as she as to why I won’t give freely to those who ask. I envision myself stumbling over my words, stumbling over my theology, stumbling over my ethics, as I try to explain the reason for my decision. I think back to all my education, to all my reading and theorizing and theologizing. I think about each of our moral responsibilities to each other, our obligations to ourselves, and our pursuit of “righteousness.” I think of the irony of a Christian spending money daily on not just coffee, but the availability to study, to use internet, to be in a warm building, while others have no access to such fortunes. Well, I notice that the woman solicited someone else to get her coffee. 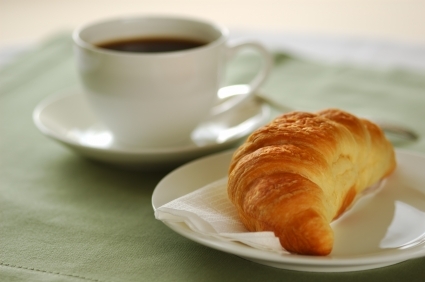 But not only coffee, she started ordering other things, like croissants and donuts. She takes her bag of goodies and her small coffee and leaves the shop. The woman who paid for her is left dumbfounded, awkward, and confused. I am left dumbfounded, awkward, and confused. 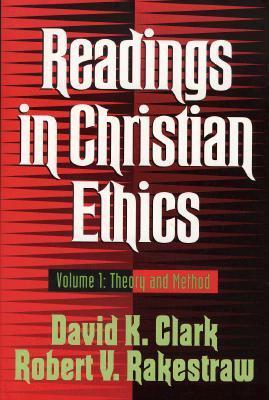 And yet, here I return to my reading about Christian ethics, as I finish my cup of coffee and publish this post. Maybe I’ll spend another $1.25 for a refill.